Is it time marketers rethink agency conflicts of interest? 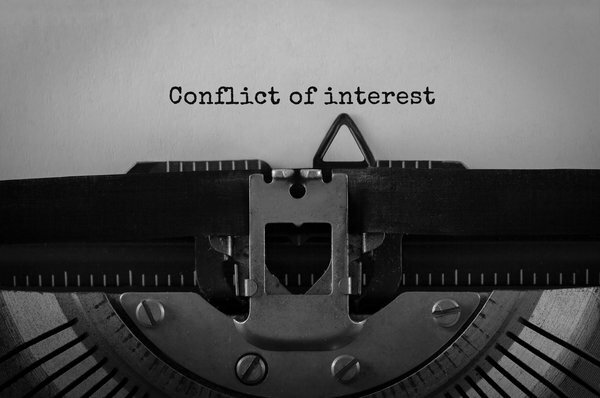 A major and complex issue for marketers when looking for new agencies, or going to market with a tender, is concerns over conflict of interest. That is, not wanting to select an agency that already has a client that is a competitor. But what constitutes a competitive conflict will vary from advertisers to advertiser and category to category. It will also increasingly vary as the relationships between advertisers and their agencies evolve. Some categories are incredibly broad in what constitutes a conflict, such as financial services or alcoholic beverages, and therefore can quickly limit the choice of agencies without conflicts. Other categories will be more specific, such as retail, where the conflicts will be defined within a subcategory such as apparel or home wares, or even subcategories based on the positioning in the market such as prestige, mass market etc. This means that agencies could have a number of clients in a category. But why is there a concern over agency conflicts when the market has changed so much and relationships with agencies are more short term and fragmented. Is this preoccupation with competitive conflicts still relevant in today’s market? What is the competitive conflict? The issue of competitive conflict usually arises as part of the pitch process, either in the selection of the agency without a conflict or where an agency pitches for a new client who is a conflict with an incumbent. 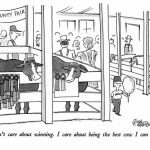 When the topic of competitive conflicts arise, as part of the market search brief process prior to a pitch, it is interesting to see how different marketers consider the issue. For some it is almost an instinctive response to cast the net as wide as possible. When asked why they want to make the competitive set so wide, the standard response is to protect the brand and the strategy. Other marketers are more considered in their response and will list only those brands they consider direct competitors. When asked why it is important that the agencies do not work for these competitive companies, the standard response is to protect the brand and the strategy. But then there are times when an organisation may have multiple competitive brands, either by design or by legacy of acquisitions, where often the financial benefits of the economies of scale will often over-ride the concerns of competitive conflicts of interest. Of course this is justified by the organisation saying that they would of course ensure that the two market facing brands would have different strategies and therefore different executions. But what is the strategy that the marketer is protecting? Mostly the agency is involved in developing marketing communications or advertising. The development of products and services, the pricing and the other business strategy decisions are increasingly made elsewhere in marketing or in the organisation. But because the advertising and marketing communications are so visible, marketers are very concerned over appointing agencies that also have competitive clients. Some of the larger advertisers use this concern over competitive conflict to their advantage. Often they adopt a strategy to engage multiple highly creative and highly regarded agencies on projects to simply take them out of market consideration by their competitors. Any time you see multiple creative agencies working with the one organisation, even across multiple brands or multiple business units, it is a reasonable assumption that it is part of a strategy to take those agencies out of the market place. But in some categories there is already a shortage of good quality agencies because the category is highly competitive with multiple brands operating in competition with each other. Automotive and financial services come to mind, but increasingly media advertisers are also competing for audiences and advertiser’s dollars. In these categories you can have multiple advertisers and multiple brands each with their own agencies appointed to that brand and therefore excluded from working with any other brand in the entire category. If you consider financial services this can be everything from banking to insurance to superannuation to annuities to wealth management to fintech start-ups, who are all the rage today, and so on. It is an incredibly diverse category of financial services, but also incredibly complex. Even if there were enough agencies to go around, the whole process of competitive conflicts means that most agencies with experience in the business will simply move to another client in that competitive set if they ever lose a client because that experience is highly regarded. This makes it hard for new agencies to break into the category, unless they are highly specialised and therefore highly desired. Interestingly there are some agency categories where these conflicts do not seem to be as big an issue. So while media agencies will often have to set up a new agency to accommodate a competitive client, public relations firms have been known to build their reputation in a particular category like fashion or alcoholic beverages or health by representing multiple competitive clients at the same time. But look at how the market is changing. There was a time when advertisers would make a big fuss about selecting an Agency of Record (AoR) who would effectively be their lead agency and responsible for the advertising strategy. But the concept of agency of record is not as relevant today as marketers are engaging a wider range of marketing suppliers including agencies, suppliers, vendors, tech companies and of course management consultants. This fragmentation of the agency roster means that the relationship between the advertiser and their advertising agency is not as dependent as it was, as now the advertiser will have multiple partners to seek advice and assistance. This trend is reflected in the fact that many advertisers are moving away from the big retainer payment to the agency and instead engaging their agencies on a project basis. But it is also reflective of the change in marketing strategies, with the fragmentation of media and the associated audience fragmentation and the rise of digital channels moving the focus away from what was the core of the advertisers strategy and the agency’s core capability being traditional advertising and particularly television. It is not that marketers are not using television advertising, it is just that the percentage of their budget for television and other advertising is often smaller as more of their marketing communications budget goes into other channels, both digital and non-digital to engage the audience. So if the relationship between marketers and their advertising agencies are not as deeply connected as before, is it reasonable for the marketer to continue to demand that the agency forgoes all other opportunities in the category? Holding companies have understood how to overcome the conflict of interest issues their clients may have by maximising their share of the category by either acquiring or creating conflict agency brands to manage the client conflict concerns. Multiple agency brands were ideal for being able to shift a client into the holding company through a separate agency brand. If that did not work or was not available, because all of the agency brands were often conflicted, then it became simply a matter to create an agency specifically for the client. An agency of their own had no conflicts. All it required was a client with a large enough spend who was looking to stay for a while and a large enough pool of talent across the agency base to be able to scrape together. Other agencies have tried to have conflicting clients within the one agency by creating what the industry calls “Paper Walls” between the conflicts (Note that it was often referred to as Chinese Walls, but the fact is the Japanese and not the Chinese were better known for paper home construction). Many clients saw through this ruse and were often concerned about the cross over between the teams within the agency. I know of one client who demanded that the agency create two entries into the agency building so that they would never have to see their competitor or any of the team or the work the agency did for them. Others would simply ignore the issue and get on with working with their agency team. We are increasingly reading and hearing about the move of management consulting firms into the marketing and advertising category. Digital, data and CMO advisories are all the rage for the management consultants. Unlike advertising agencies, there is no apparent competitive conflict, as the fact they work across multiple clients in the one category is seen as a benefit providing depth of knowledge and insight into the category. But now we are seeing and hearing about these firms buying advertising agencies. Most notably is Accenture’s purchase of Karmarama in the UK and The Monkeys in Australia. While others continue to build these capabilities in house by recruiting key personnel from agencies into the fold. Along with this move I have had conversations with marketers who have been approached by their agencies, recently acquired by the management consultant firms, to discuss dropping or modifying the competitive conflict of interest clauses in their contracts to allow them to pursue competitive business. To date all of the marketers have flatly rejected the suggestion. Even when explored, the fact is that they see management consultants very differently from their agencies. 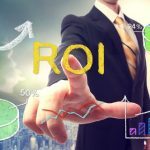 It will be interesting to see how this plays out as there are some fundamental differences between agencies and management consultants in costs, business models and relationships. Certainly if a change in the way marketers engage their agencies is going to occur and marketers drop their concerns on competitive conflicts, it is still years away as marketers appear to be very firm on this issue. The question is why? While I have shared that the usual reason marketers give for their agencies to avoid any competitive conflict of interest is to protect the brand and the business, I have had a number of very direct discussions, which reveal a much more emotionally powerful reason for this demand for exclusivity in the relationship. That is FOMO – fear of missing out. It appears that the real concern deep down in that part of the brain responsible for self preservation is there is a often hidden fear that if they share an agency with a competitor then the competitor will get the better creative and strategy team and therefore will get the better ideas and better campaign and they will be getting second best. When it comes to media there is a concern that their competitor will get the better deals and the better buys and more of the media first opportunities and they will come off second best. And so it goes. Sure you could say this is part of protecting the brand and the business, but the fact is that it is a much more powerful motivator at this emotional level. When so much of what agencies provide to their clients is subjective and difficult to measure or quantify it becomes a powerful fear that marketers would prefer to avoid simply by demanding their agency rejects competitive business. How do we address the issue of conflicts? I remember just after I left advertising and started my TrinityP3 consultancy in 2000, I was in discussions with a client on a major project and having accepted my proposal for the work they said “Of course we will want you to be exclusive on this”. I looked them in the eye and asked them how many competitors they could identify in the market and they counted out nine, to which I replied “Then just multiply that figure by nine and you have me exclusively”. Lets just say we agreed the price and terms on the spot. The market is changing and the relationship between marketers and their agencies is changing. There are more suppliers, vendors and agencies working with each individual client and clients of course want to work with the best. So isn’t it time we rethink this idea of competitive conflicts? Perhaps the first step is marketers not being so broad in the way they define the competitive set so that the great agencies they want to work with have an opportunity to work with more advertisers and be more successful.